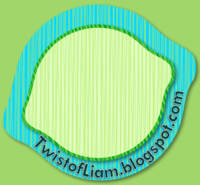 Teaching with a Twist of Liam: Awesome blogs to check out. Wow. Over 2 weeks since my last post! The last couple weeks have been crazy with planning for our last term, my cat going missing (2 weeks and still no word - sigh-), and developments for next year that are consuming my limited attention. So, I have been a bit neglectful with my blogging responsibilities but rest assured I haven't forgotten you all. In fact, I would like to point out that I have updated my blogroll to include several new quality sites that I would love for you to check out! They would love to hear from you. Maybe you could mention that I sent you...that would be swell.